A 30-day state of emergency has been lifted early in the Maldives after “important progress” in an inquiry into a blast on President Abdulla Yameen’s boat. 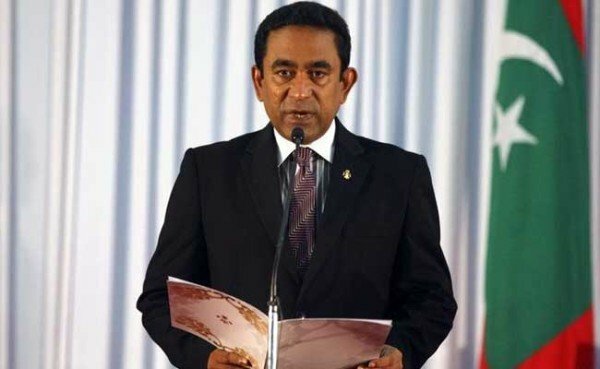 The state of emergency was declared on November 4 to aid security forces after what the government said was a plot to assassinate Abdulla Yameen. Abdulla Yameen narrowly escaped injury when a blast struck his boat last month. US investigators said they had not been able to find any evidence that the blast was an assassination attempt. “We are pleased that this matter has been dealt with so swiftly. We are looking forward to getting the country back on a more normal footing,” said Foreign Affairs Minister Dunya Maumoon. The state of emergency gave wider powers to police and armed forces to arrest suspects and suspend freedom of assembly and movement. Members of the country’s military patrolled the streets while it was in effect. It came two days before a planned protest by the country’s main opposition, the Maldivian Democratic Party (MDP). The Maldives, a popular destination for honeymooners and other tourists, has been rocked by political unrest in recent months. VP Ahmed Adeeb was impeached earlier this month, accused of involvement in the alleged boat assassination plot. Ahmed Adeeb, whose predecessor was also impeached in July, is accused of high treason, a charge he denies.